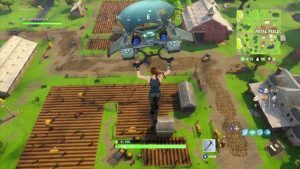 Epic Games, the creator of video game sensation “Fortnite”, has completed its latest investment round with a valuation of nearly $15 billion. The value of the firm has risen threefold in six months. The company was estimated to be worth $4.5 billion in May. It was valued at just $660 million in 2012. In this investment round, the company received $1.25 billion from investors interested in participating in its success. Investors included KKR & Co Inc., Iconiq Capital, aXiomatic, Vulcan Capital, Lightspeed Venture, Kleiner Perkins and Smash Ventures. Tencent, Walt Disney Co and Endeavor are among Epic Games’ minority shareholders. Fortnite is a tactical tournament game where 100 people are dropped onto an island to fight each other for survival. The game is free to download and makes money by charging players for costumes and other extras in virtual in-game currency called V-Bucks. Players can dress their digital avatar in various outfits, including a ninja, an Olympic skier, a medieval knight, or a skeleton. A new wardrobe is put up for sale on the game’s storefront each day. Epic Games is based in North Carolina. The company is run by its founder and chief executive, Tim Sweeney. The company released the first version of Fortnite in 2017. The game has been hugely popular ever since. Fortnite is currently the world’s most popular video game. Since its release, more than 125 million people have signed up to play, including a number of notable celebrities like Spurs star Dele Alli and rapper Drake. The game has also recently been mentioned on television shows “South Park” and “Saturday Night Live”.